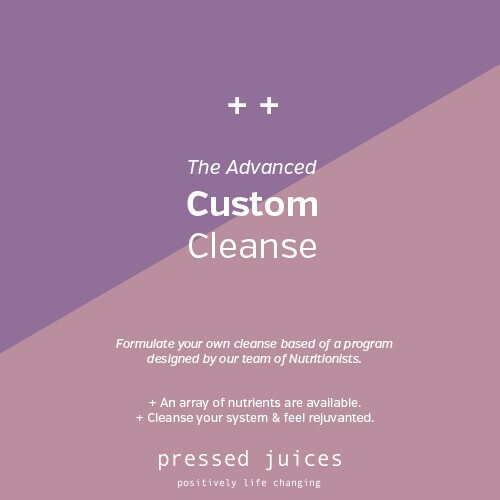 If you had done a juice cleanse before, the Advanced Custom cleanse allows you to custom your cleanse to suit your own personal goals. The Advanced Custom cleanse exposes your body to a more potent and nutrient dense variety of cold pressed juices. We recommend tidying up your diet the week leading up to your cleanse for optimal results. This includes removing processed foods, alcohol & soft drinks, smoking & caffeine.